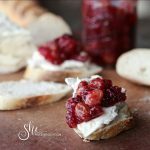 This Cranberry Chutney is a sweet and savory combo to dress up your poultry or to use as a delicious appetizer with crackers. I get so excited when I see fresh cranberries. Their delightful, puckery tartness pairs wonderfully with other sweet and savory ingredients and their appearance also means that the holidays are close. 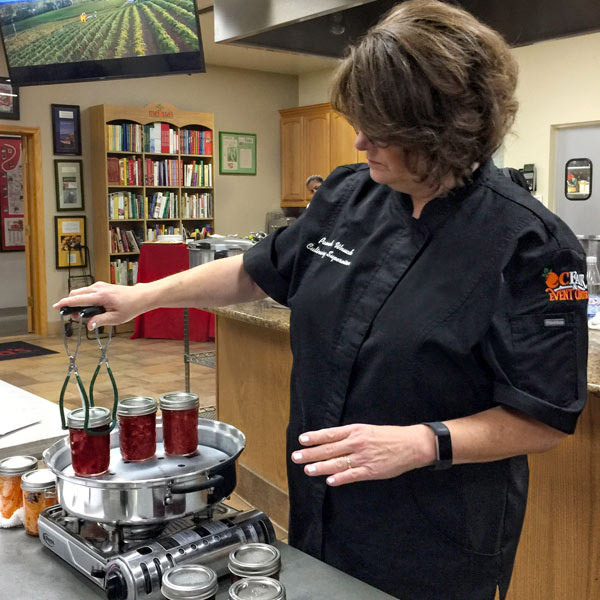 Recently, I had a chance to learn how to make cranberry chutney in a steam canner from Pamela Wnucka, a Master Food Preserver. 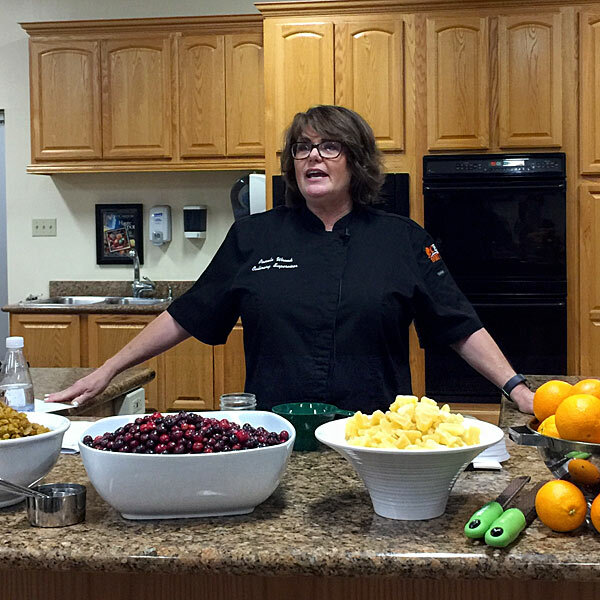 She was at Melissa’s Produce for a special gathering of food writers and bloggers. 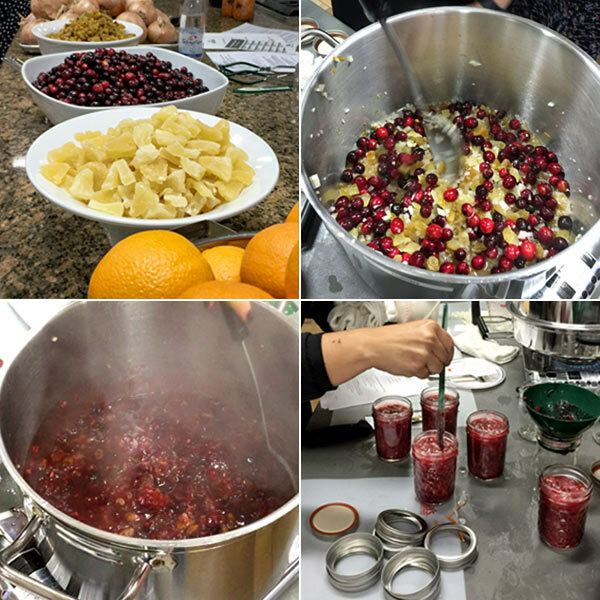 Pamela showed us her magic for making our own cranberry chutney, just in time for the holidays! If you love canning, this is a recipe you’ll want. This chutney is great to have on hand throughout the year, but for those of you who can’t be bothered with canning, the chutney will last in the refrigerator for two weeks. It is a wonderful Thanksgiving condiment and the ideal seasonal hostess gift. 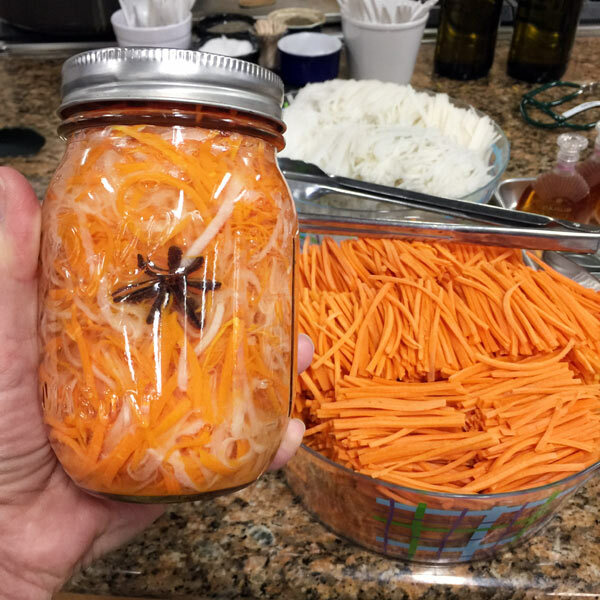 In addition to showing us how to make this gorgeous chutney, Pamela shared informative tips on preserving and how to make a quick Vietnamese Carrot and Daikon Pickle. This classic sweet and mild crunchy condiment is used to stuff Vietnamese Banh mì sandwiches. Seriously, you can just eat this straight out of the jar. Up next was something sweet and tangy! 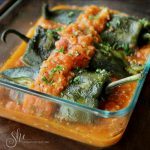 This recipe is the simplest ever – prepare the ingredients, mix’em up and cook. Do pay attention here: when you are ladling hot chutney into hot jars, make sure you leave l/2-inch headspace to assure a vacuum seal. If too little headspace is allowed, the mixture may expand and bubble out during processing. We used the Aluminum Steam Canner with Temperature Indicator by VICTORIO. This chutney is a perfect side for Thanksgiving, served over meat, or on yogurt. 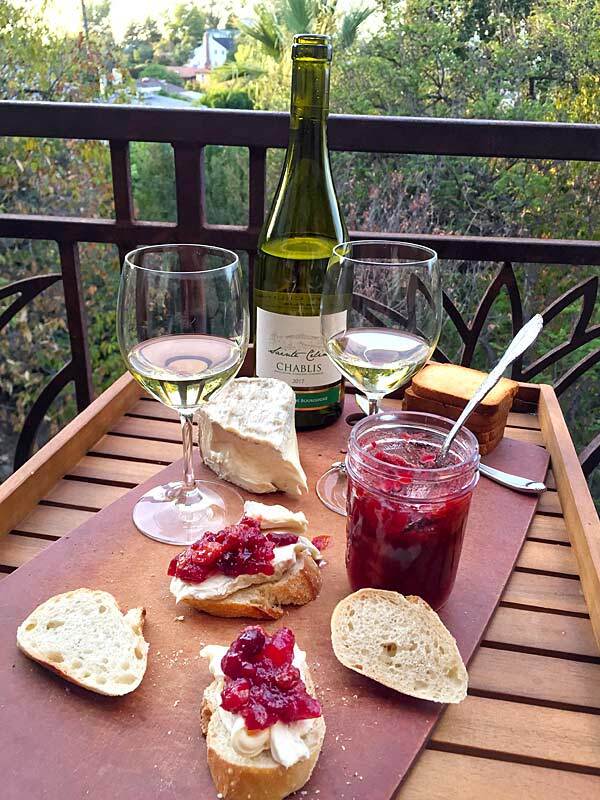 My favorite way is on crackers with a French cheese sitting on the patio with a best friend over a glass of wine. 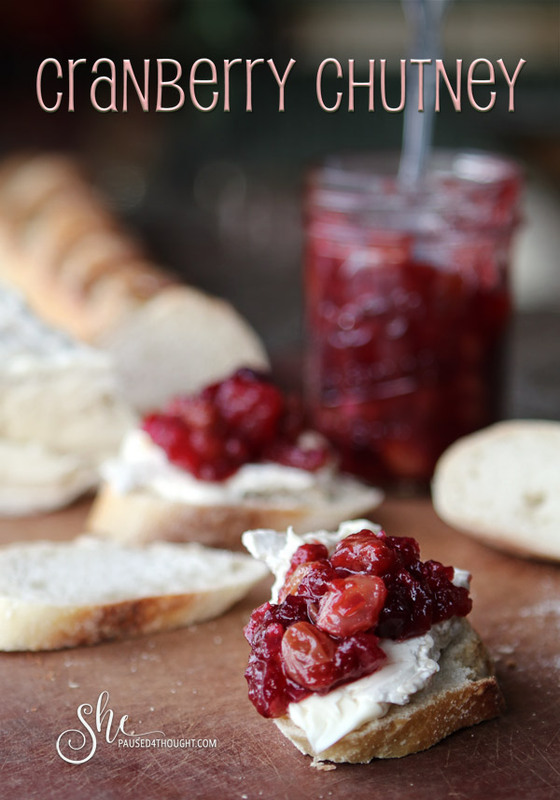 Keep a few bags of cranberries in your freezer so you can make this luscious chutney at any time of the year. Its a delicious substitute for commercially prepared cranberry condiments. Ladle hot chutney into hot jars, leaving l/2-inch headspace. Remove air bubbles and adjust headspace, if necessary, by adding hot chutney. Wipe rim. Place jars in canner, ensuring they are completely covered with water. Bring water to a rolling boil and process for 10 minutes. Remove canner lid. Wait 5 minutes, then remove jars. Do not retighten bands if loose. Cool 12 hours. Check seals. Label and store jars. TIP Candied pineapple is also known as crystallized or glace pineapple. 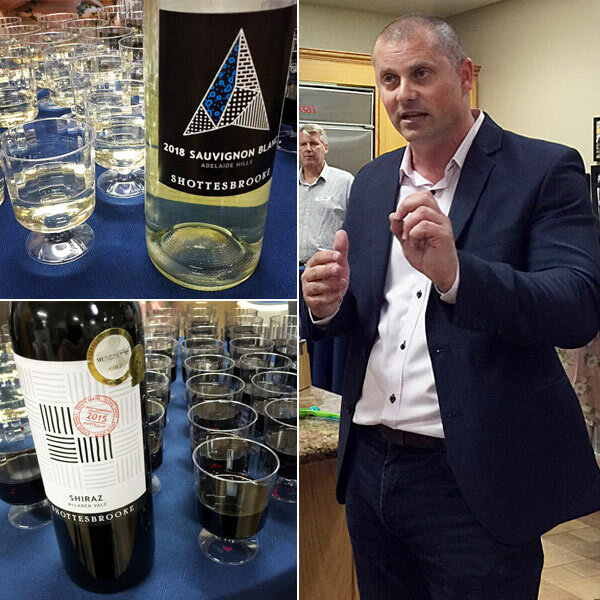 After we finished our steam canning, we imbibed some great Australian wines thanks to Irv Wnuck a highly regarded wine expert, along with Damian White of Shottesbrooke Winery. 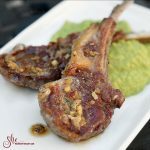 They were a great complement to the chutney along with other delicious bites from Melissa’s Produce’s kitchen. The Sauvignon Blanc from Shottesbrooke Winery has zippy aromas of fresh passionfruit, gooseberry, and tangy citrus. The Shottesbrooke Winery’s Shiraz has intense red fruit freshness and darker fruit characters dominate the bouquet, with hints of spicy black pepper. These wines are now being introduced to the U.S. – they’re recent imports and you will need to ask for them. 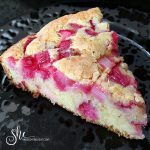 If you adore cranberries as much as I do, I know you will love this recipe. The only question is to can or not to can—either way it will disappear in no time. I am sooo bummed I wasn’t able to go to this! I love chutney and cranberries!! I’m with you too on serving it with cheese and some good wine – tres magnifique!!! We missed you there Nancy, it was a lot of fun. It was so much fun cooking with you (and Barbara!) ~ and the Chutney is a new favorite for me!! I’ve already had it alongside turkey and it’s divine! Yes, it was Sue. I am making a new batch next week for Thanksgiving. Valentina I hadn’t even thought of cranberries in a chutney, but now I am obsessed. Always lovely see you too! This looks great! I’ll find out about Melissa’s stuff eventually. 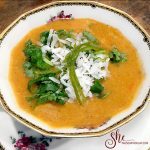 🙂 I make a great cranberry-pear sauce that I’m going to add ginger to after reading this recipe! Thanks for sharing!! Happy Thanksgiving Rona! Pears and cranberries sounds like a great combo! Looks Ahhhhmayyyyzingggg!!! Thank you Cathy! Can’t wait to make some for next week’s Thanksgiving table……. I wonder what happens if a person were to use fresh chopped pineapple instead? Thanks Julie, I think that might work as long as they aren’t too juicy. If you try it, let me know. Happy Thanksgiving to you! What a fun event. Interesting to pair the wine with the chutney and cheese on baguette slices. Yummy! Also nice change from a cranberry sauce alongside some turkey. It will work well with turkey, but I am discovering it is so delicious with other things. 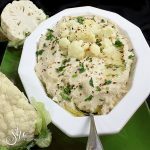 I’ve pinned the recipe and can’t wait to make it for Thanksgiving at our son’s home. About how much did it make once everything was cooked? I’m wondering about making half the amount. It made roughly 6 half pint (8 oz) jars. You can always give it away as gifts as well. Enjoy! Thanks, Greg. This chutney elevates any holiday table experience and even professed cranberry haters loved it. When I couldn’t find candied pineapple I used candied ginger and dried tangerines from Trader Joes. I can’t wait to try it with other dried fruit as well.